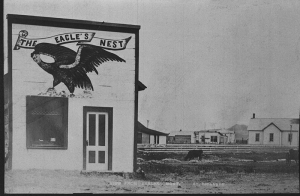 The Ekalaka Eagle is the official paper of Carter County, Montana, and Town of Ekalaka. It has been in continuous circulation since 1909. With this issue of the Ekalaka Eagle, viz. 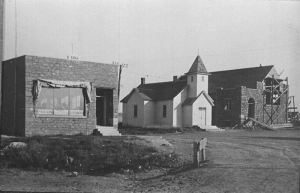 Volume 1, Number 1, another weekly newspaper enters the journalistic field of Custer County, Montana. The first issue leaves this office with a most promising outlook for the future and with an extraordinary opportunity of establishing and up-building a business enterprise that the editor and the people of Ekalaka and vicinity may be proud of. The Eagle is published for the purpose of giving the people of Ekalaka and vicinity a good live local newspaper, to boost for Ekalaka and also to try and increase the size of 'ye editor's' purse, which is only a small matter and hardly worth speaking about. We intend to give you all the news of Ekalaka every week as well as news from the surrounding camps, and in doing this we hope to receive your liberal support. And so the Ekalaka Eagle was born. Oscar Dahl was just nineteen years old. The annual subscription price for the new 1909 Eagle was $2 per year, and the paper was dated on Fridays each week. The Friday date has continued since. 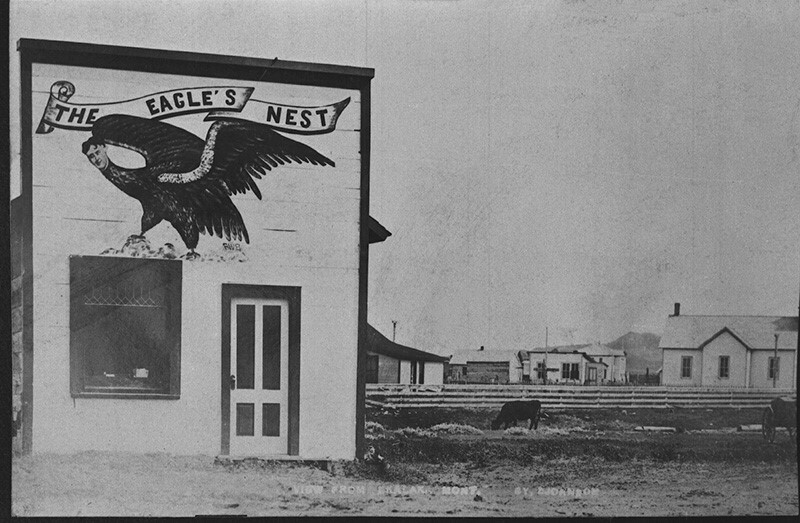 The year 1925 marked a milestone for the Eagle, when the business moved into a new stone building. 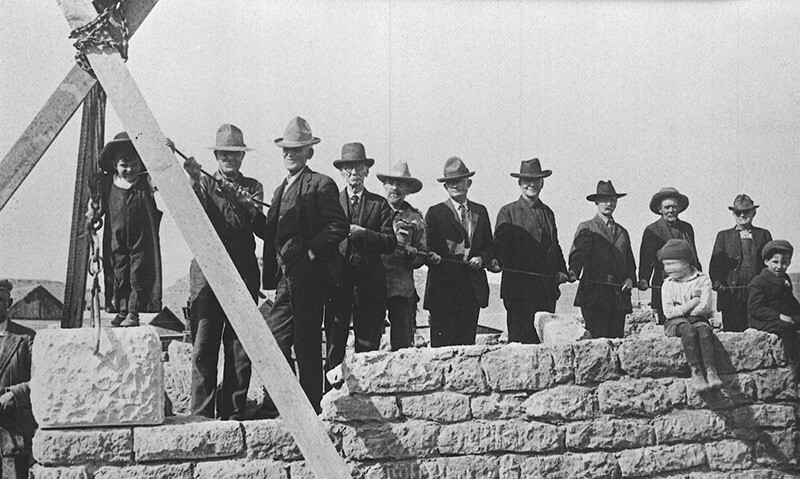 Built from local sandstone blocks by stone mason Nick Folak, with other materials supplied by Lantis-Rickard Lumber Co., construction began March 24, 1925. A ceremony for the laying of the corner stone was scheduled for April 19, 1925, with dentist J.P. Hedges as master of ceremonies; and the first issue of the Eagle emerged from the new location on July 8. Dahl did not miss a day in the publication schedule with the wholesale move of all his equipment into the new location. He continued to publish the weekly issues of his newspaper, covering local happenings, national news, and frequent historical articles until his death on May 5, 1942. Oscar Dahl's wife, Idella, continued to publish the Eagle until 1946, when a new couple, Tom and Gladys Taylor appeared on the scene. In March of that year, Mrs. Dahl introduced Tom Taylor from Whitefish, Montana, as "a newspaper man of wide experience," and thanked the Eagle's advertisers, contributors, and subscribers "for their loyalty and support in helping the Eagle live up to its principle of its 37 years of service to the public." In 1985, another chance conversation led the next owners to look at the Eagle, which was rumored to be for sale. Brice and Lois Lambert were looking for a new direction after Brice, an Ekalaka native who had been working as a geologist for a Billings energy company, was laid off when the company cut back its exploration staff. With the Lamberts' purchase of the Eagle from Tom and Gladys Taylor, Tom would end his journalism career as one of the longest surviving newspapermen in the state. Lamberts published their first issue of the Eagle on October 4, 1985. The Eagle celebrated its 100th anniversary in 2009 having been published continually during that century. In May of 2014, Eric Lovec purchased the Eagle from Brice and Lois Lambert and moved the publication office from the stone building to an office located inside Summit National Bank on Main Street in Ekalaka. Lovec, also a Carter County native, was living in Billings when he heard that Lamberts were looking at selling the Eagle and retiring. He became just the fourth owner of the paper and published his first issue from the new office on July 4, 2014.